Take a deep breath. Hold your head high. Whatever you’re going through… God’s got it. Do you feel tired, frazzled, overwhelmed, alone, stuck… it’s time to hit Refresh! Join us on Friday, May 10th at 7pm for incredible worship with Adam Ranney, a powerful word from Renee Matchett, lots of desserts, giveaways and some much-needed girl time! Register now for Refresh Women’s Event and for more chances to win some amazing prizes! 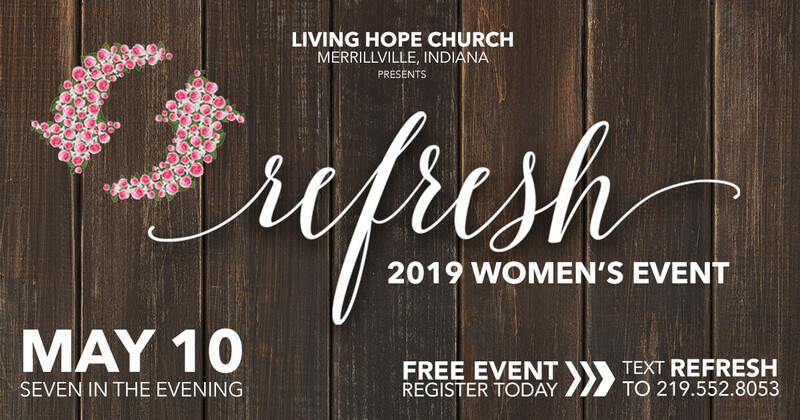 *Refresh is an event for all women, high school age and up.